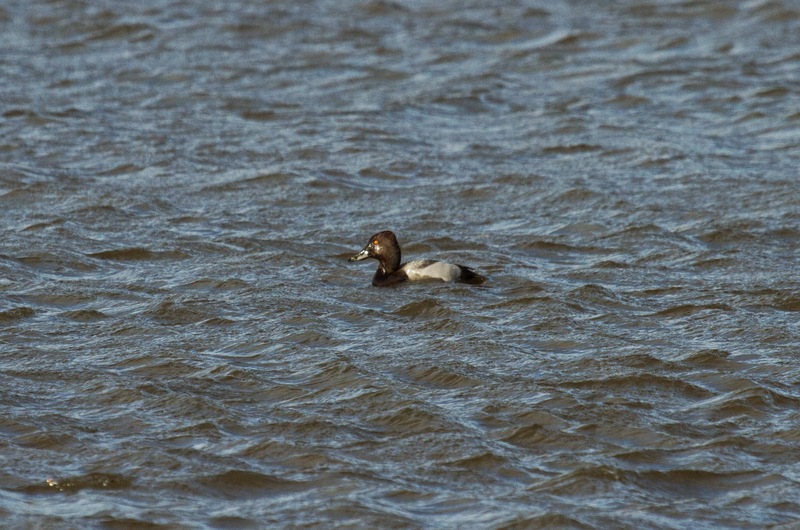 My attention was grabbed by a funny-looking Aythya duck at Holywell last Friday, it had me running back to my car for the scope. 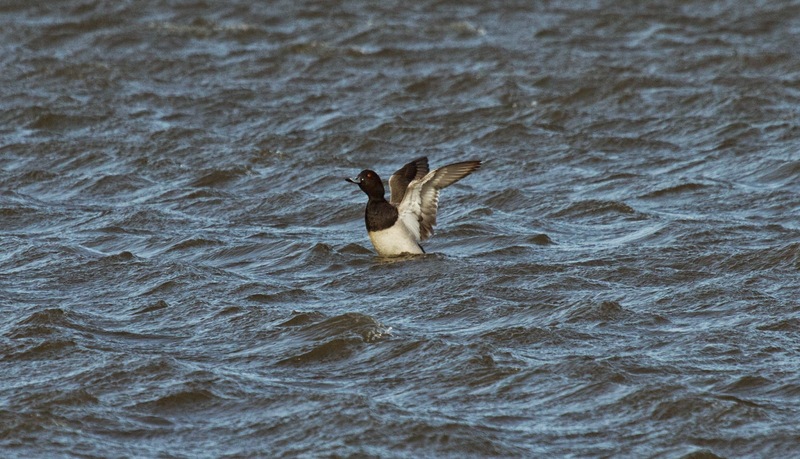 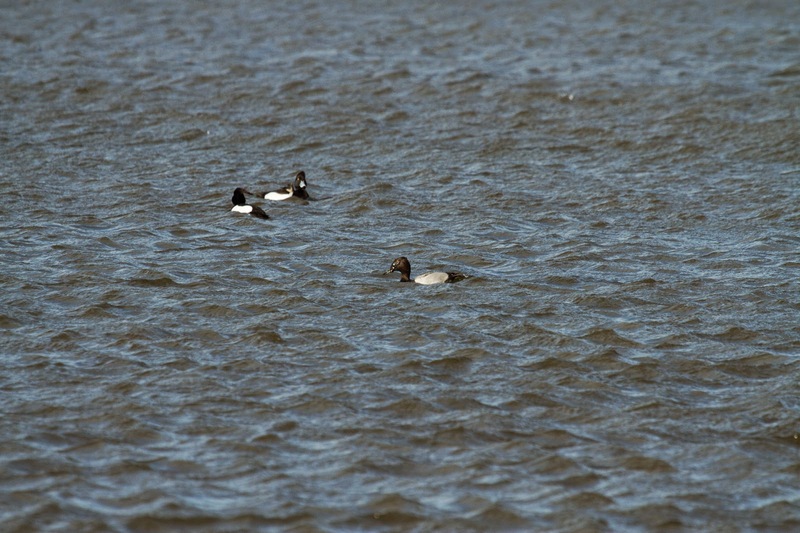 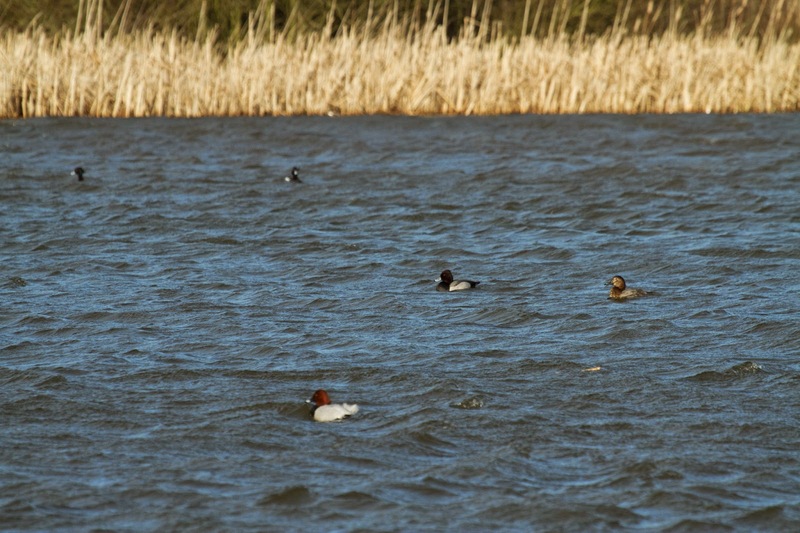 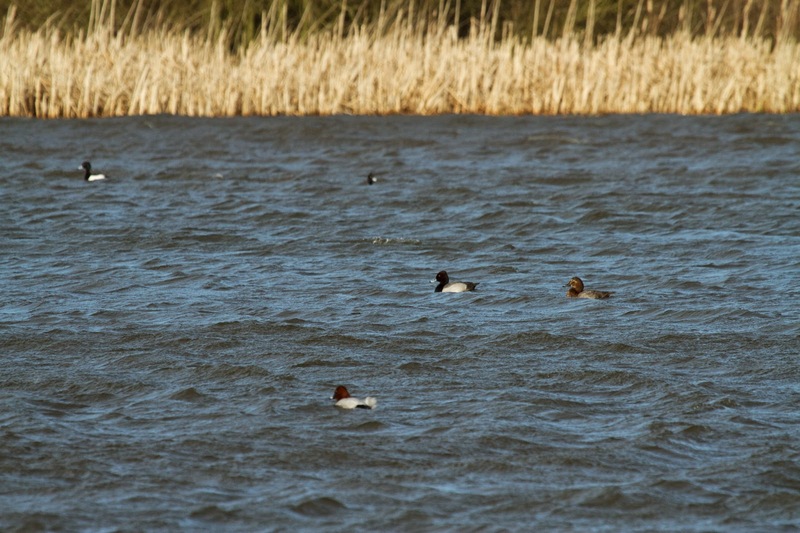 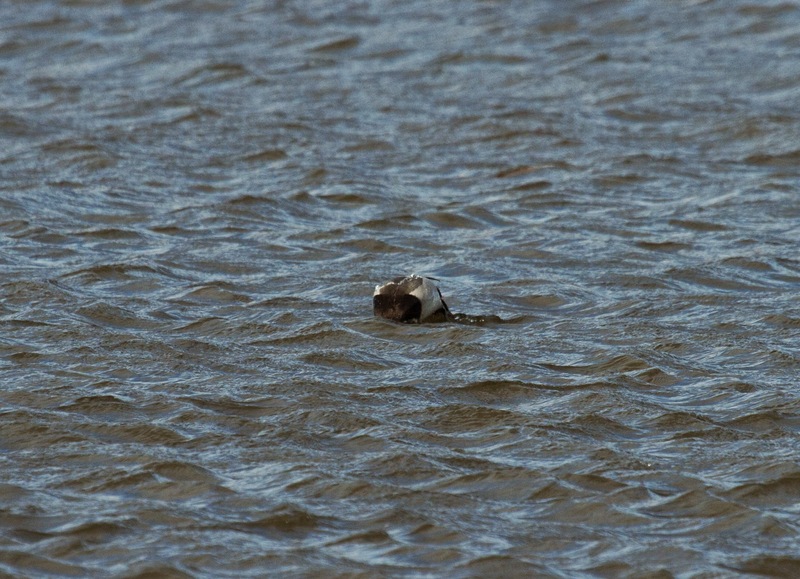 My heart was racing, but when I got the scope on it, I realised it wasn't the Lesser Scaup I had hoped for. 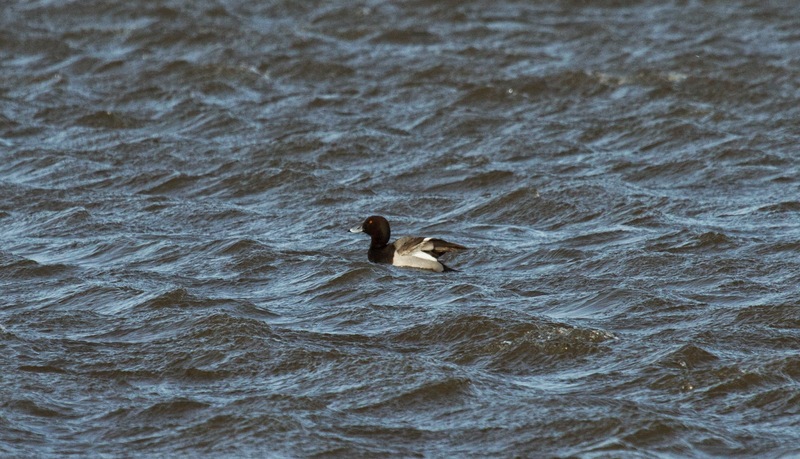 Instead, after a few minutes of grilling its features and comparing it to a variety of sources, I suspected it was a Tufted X Pochard hybrid, which was confirmed by a text from BD (it's been around for a few weeks). 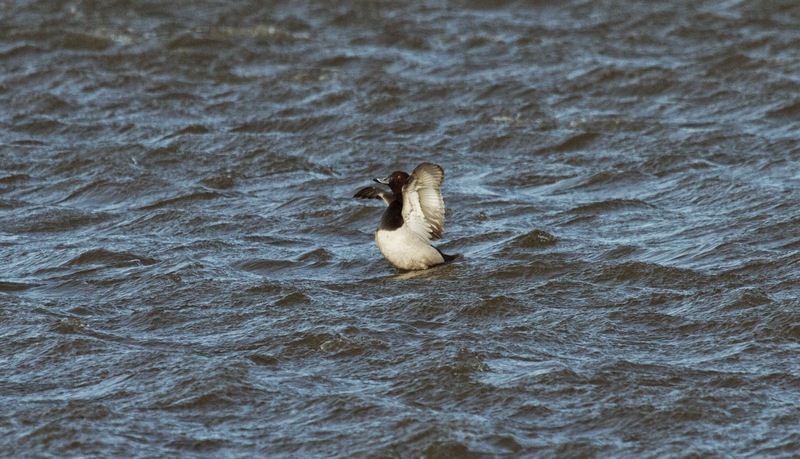 Today I had a brief chance to revisit this stunning hybrid and capture some record shots. 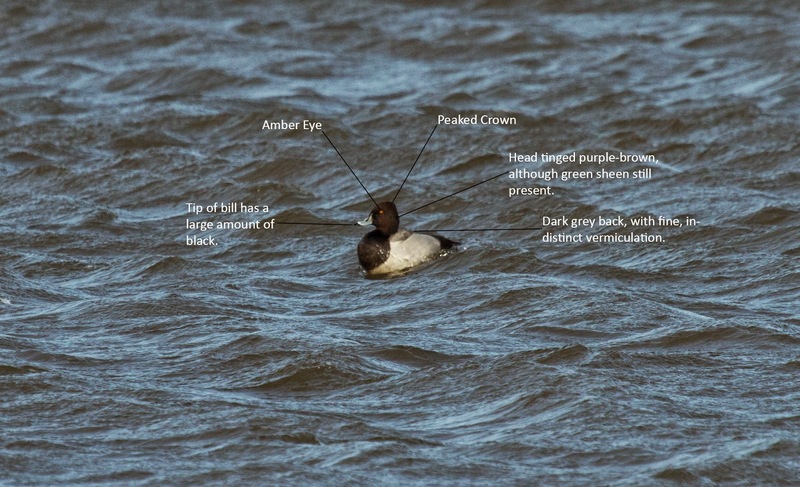 Well spotted and nice pics!